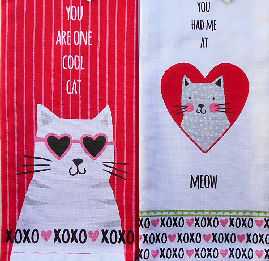 These 100% cotton tea towels are for the cat lover. The tea towels are 18" wide x 28" high. Finished edges. The towel on the left is sold out. The towel on the right says: You Had Me At Meow. New. There is only 1 Meow towel left.